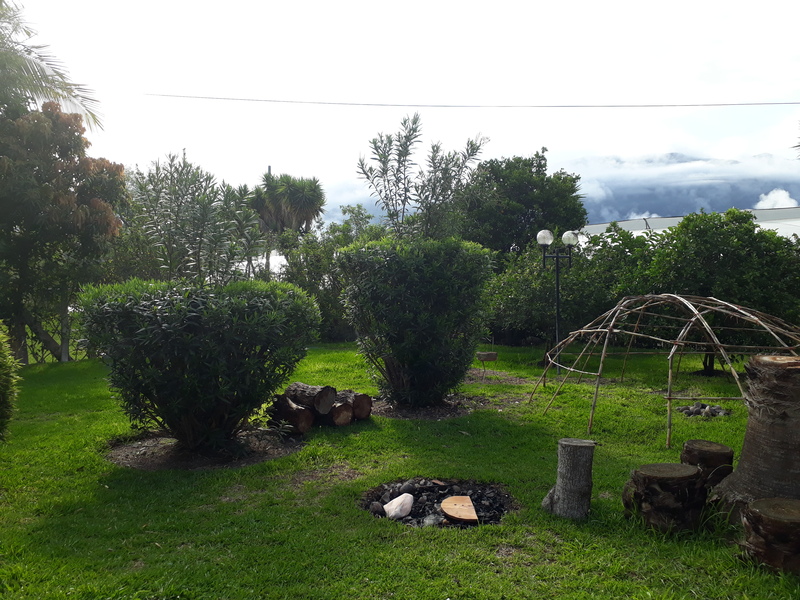 OM Ashram is a peaceful retreat center in the heart of the valley of Yunguilla. It is surrounded by a breathtaking view of the Andes. 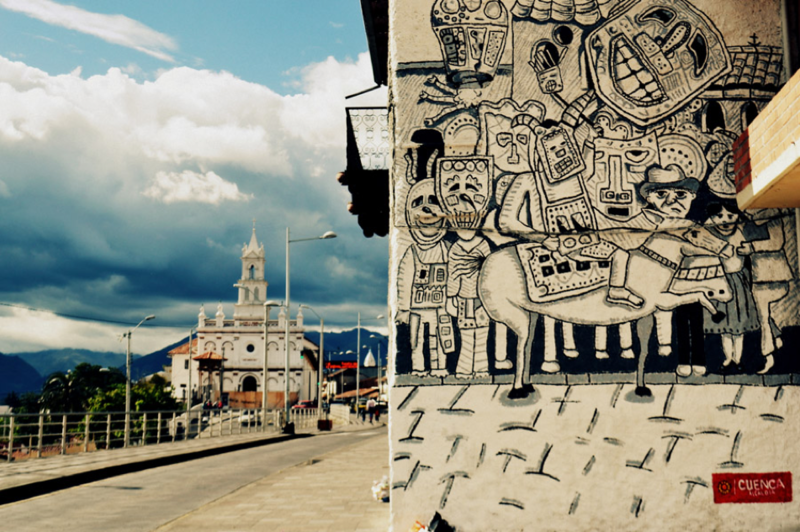 Cuenca is without fear of contradiction one of the most beautiful cities in the world. Its historic center was declared a cultural heritage site by UNESCO in 1999. Cuenca is also called the Athens of Ecuador for its architecture, its cultural diversity, its contribution to the arts, sciences and letters. 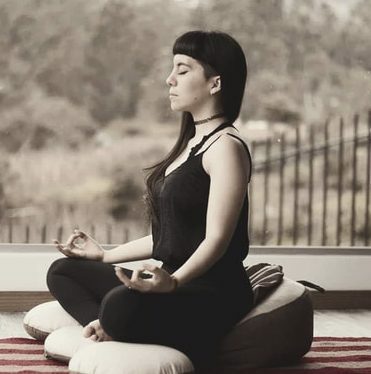 The energy that is perceived in Cuenca is ideal for Yoga and meditation. Its vast natural and mountains spaces are conducive to your health through the air we breathe. In recent years, the holistic community in the city has grown by leaps, and the groups with interest in yoga get larger and larger. 2Do I need to have any yoga experience ? Yes. It is important that you have some body awareness whether it came from a few weeks or months of yoga/pilates/ & other forms of postural awareness. We do not expect you to be an intermediate or advanced practitioner. What is of most importance is your desire to learn and share your experiences within your YTT group. This program is much more than just physical postures, it is an initiation to hold space for yourself & others, while on the healing journey! 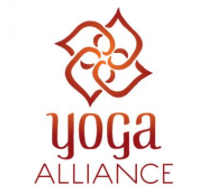 We believe that you can only become a ready yoga facilitator once you have planted a seed of intention to release old beliefs that no longer serve your highest potential. We are here to hold space for you on this journey, on a mental/emotional/spiritual/physical level. OM Healing center & all staff ask participants to abstain from smoking, drinking, meat consumption during your stay with us. Dry season is from May to November. It is semi-tropical during the day (25ºC), cooler at night. Rainy season starts from December to April. Rain is not too heavy and expected mostly at night. 4What to bring with me? -	We will also have a shop on-site with general toiletries, herbal supplements/tinctures, & local creations to bring back to your loved ones! Maria Elena Calderon is the founder and owner of OM Healing Center in Cuenca, Ecuador. She fell in love with Hatha Yoga in the year 2000. She started with gentle Hatha Yoga to help her deal with stress and anxiety. 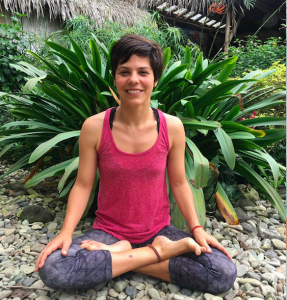 Vanessa has been practicing yoga for 14 years and teaching for over 9 years. She is a E-RYT 200 and has over 2500hrs of teaching. She studied under the guidance of Yogi Vishvketu in the discipline of Akhanda Yoga . She has taught YTT’s in the style of Ashtanga Vinyasa Flow and feels like her own personal style is a reflection of them both. She has had the privilege of teaching students from all over the world. This has taught her all things influence our yoga practice, from culture, age, experience etc. 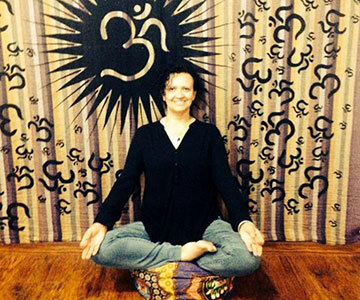 Leelah is a 500 RYT & 200 E-RYT Yoga facilitator trained in Rishikesh and Mysore, India. She is a Holistic Practitioner graduate from Transformational Arts College in Toronto Canada, Reiki practitioner and Sound Journey facilitator. In the last five years she has hosted various yoga & holistic lifestyle events around the planet, as well as having attended a number of workshops and trainings with authentic and knowledgable yoga teachers/masters. Hugo is the owner and founder of OM Healing Center in Cuenca, Ecuador. He started his health-care career in his native country where he attended medical school. He is a gradutate from York University in Toronto. He was not satisfied with the methods of conventional practice and decided to pursue Homeopathic medicine. He is a graduate of the Toronto School of Homeopathic Medicine and a certified Quantum biofeedback Therapist and a psychotherapist. 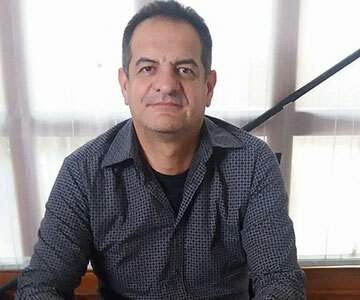 He is an experienced homeopath who successfully completed and is qualified in the theory, practice and management of cases according to classical Hahnemannian principles of Homeopathic Therapeutics. 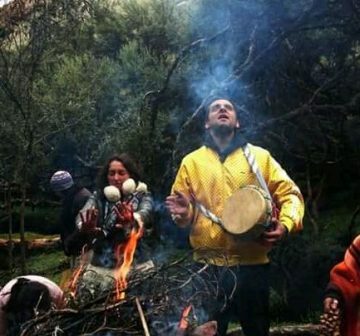 Alejandro is a chilean born medicine man. 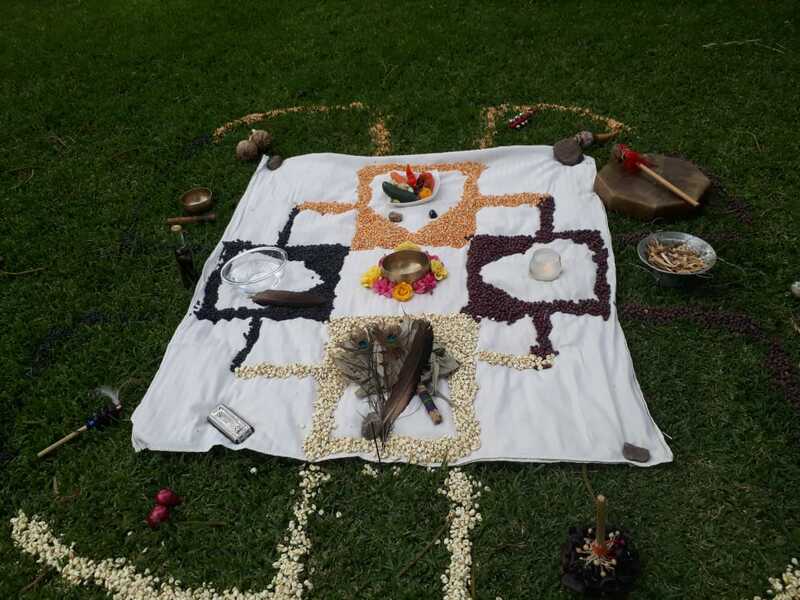 He now lives in Ecuador with his wife and medicine partner, Monica and their two lovely and enlightened children whom also take active part in sacred ceremonies. Alejandro comes from a line of medicine men and follows in his ancestors footsteps by facilitating heart warming and unforgettable swetlodge ceremonies and Wachuma (also known as San Pedro) plant medicine rituals all around Ecuador and as well as inclusively at our teacher trainings. His beautiful Icaros (chants) & mantras will have you transforming and feeling a shift from deep inside your soul. Nicole is a native from Cuenca, Ecuador. She teaches daily yoga classes and holds weekend retreats at OM Ashram retreat center. 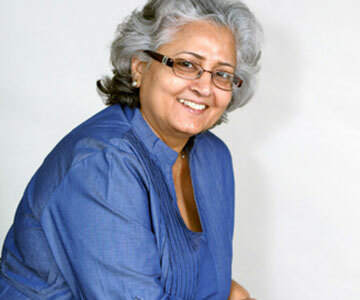 She studied Yoga and Ayurvedic Massage techniques in Rishikesh, India. Her passion for sound has taken her to host various sound healing retreats as well as feature in local musical artist's works. She will be our onsite massage therapist and sound healer. "It's been one short month since I began my yoga journey and I can honestly say that It has already changed my life. All of the crazy, (sometimes 'out-there') health benefits you hear about how yoga changes you are all absolutely true! 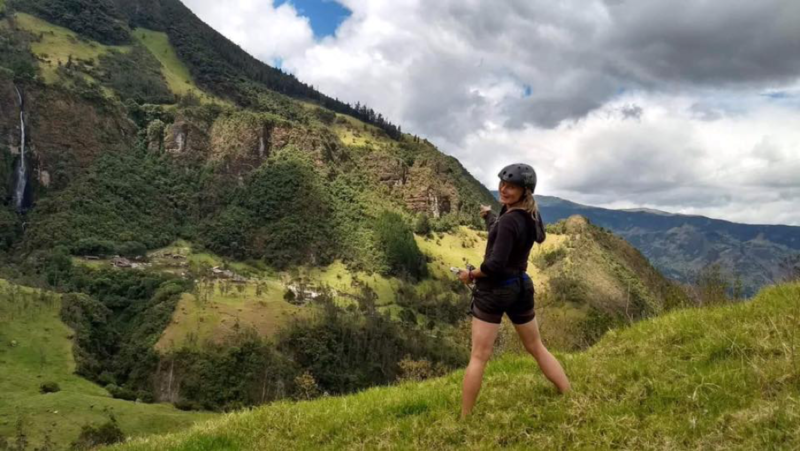 My husband and I moved to Cuenca, Ecuador about three months ago and I began looking for a form of exercise to replace running, (due to the negative impact running was having on my knees). My mother-in-law recommended me to try yoga. She has avidly practiced yoga for decades and says it's the best form of exercise for the mind, body, and soul. So I said, "why not? I'll give it a shot." Little did I know that I would find something far beyond exercise; an entirely new way of life through yoga. " I felt the entire program was thoroughly thought out, and structured very well. My training was challenging, and experience I will never forget. When I reflect on my training it will only be with very fond memories. It was more than I expected. Thank You OM Yoga Center! 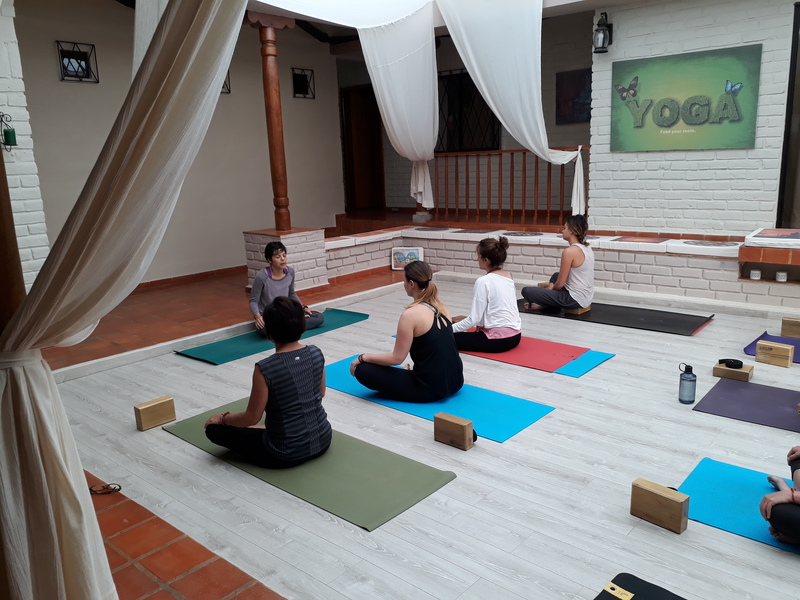 The Alvarez family who runs Om Yoga Center in Cuenca have surrounded themselves with very knowledgeable people and support staff. I felt that my education went beyond the basic yoga teacher training with an Ayurvedic Practitioner, a Homeopathic Dr, a Nutritionist, a Meditation Guru, a Shaman, all along with an incredible Hatha Yoga Instructor, and a library of useful educational books available. 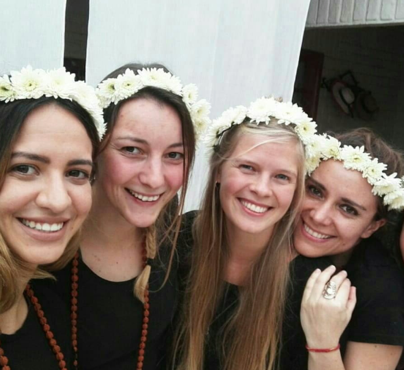 The staff members take you in as family and assure that you have all the support you need on your yogic journey. I couldn't have asked for more, and am forever grateful for them. Maria-Elena runs a beautiful yoga teacher training, bringing together incredible teachers to deliver yoga message. Loved the food, the Ayurveda component, our yoga lead, and just the overall experience. If you are looking for something commercial, crowded and manufactured, this will not be the right fit for you. This was such a beautiful experience for me, and the others in group, bringing together yoga with a south american flare. I highly recommend this program, and I am so happy I picked coming here. 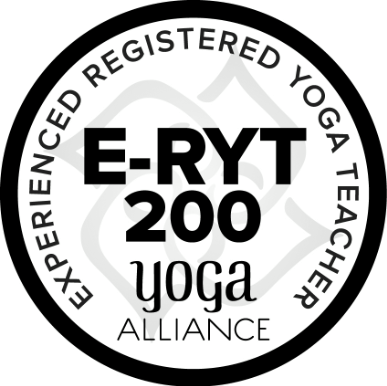 All the teachers just go above and beyond what a typical yoga teacher training offers. 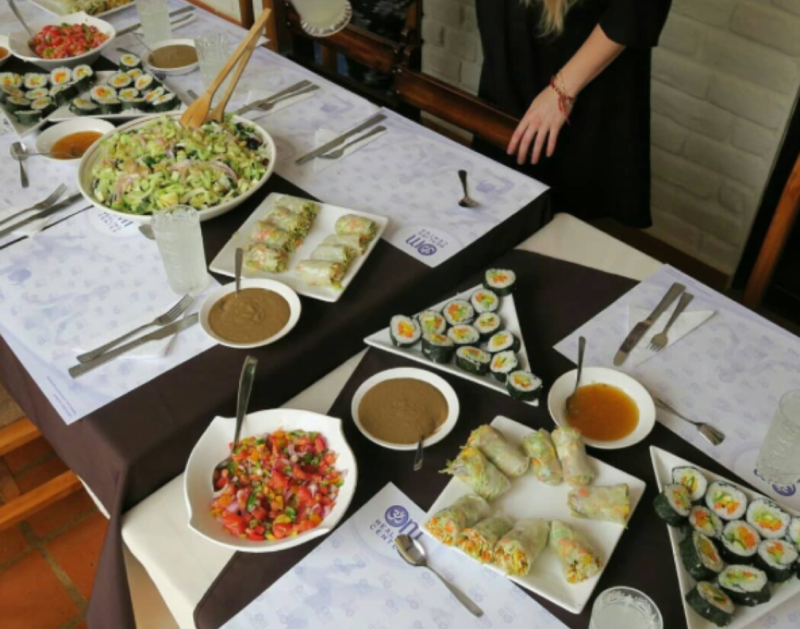 "Estoy muy agradecida de haber hecho mi yoga teacher tranning de 200hrs con la Familia de Om Healing Center, se sintió el amor de principio a fin, desde unas maravillosas instalaciones, comida vegetariana y Vegana de altísima calidad, clases teóricas completas y un gran instructor que nos enseñó mucho. 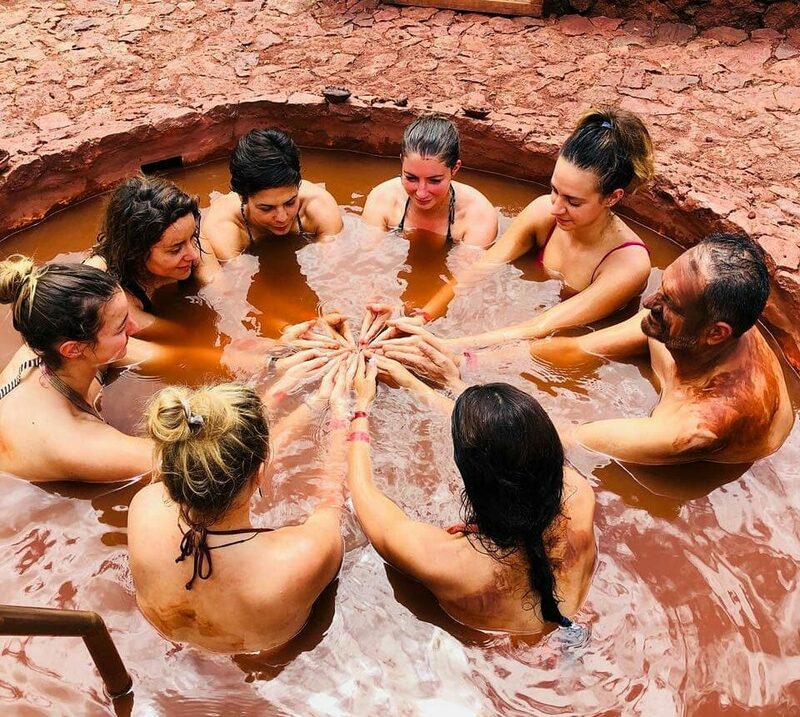 Recomiendo al 100% esta bella experiencia con ellos, además son todos hermosas personas, siempre atentos a cualquier detalle. Gracias, esta experiencia a transformado mi vida." 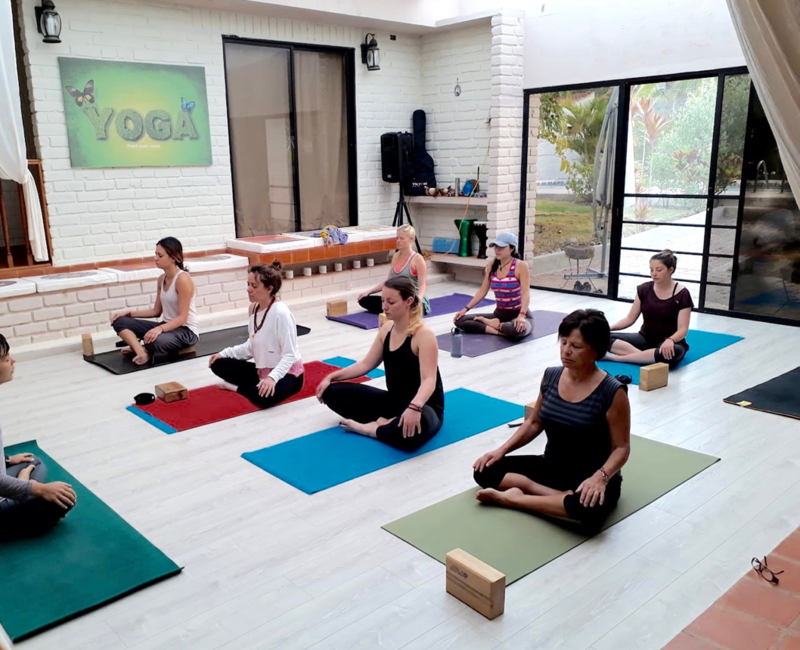 "Om Yoga Center offers a unique program, rooted in traditional yoga philosophy and explores the connections with the indigenous Ecuadorian culture. This well-rounded program goes beyond expectations!" "Receiving my YTT with OM Healing Center was beyond my best expectations. I am now teaching yoga at a university in Riobamba and feeling great about it! thanks to the wonderful staff and program they have. I 100% recommend this course because it is tailored to you, to your future yoga students and doesn¨t just focus on the physical aspect of yoga. Which I absolutely LOVED." 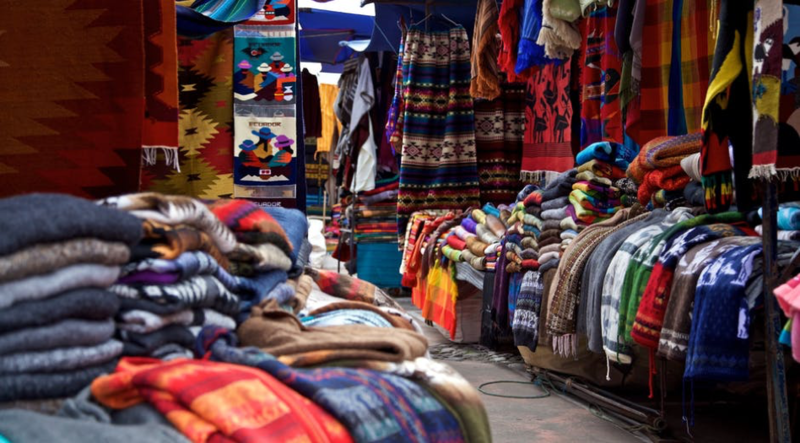 "YTT Ecuador offers an authentic and special experience. 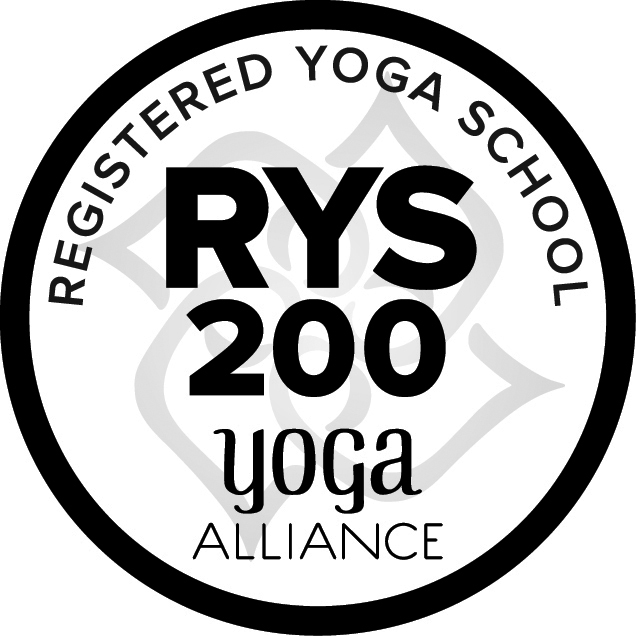 All of the trainers and teachers were knowledgeable, helpful, caring, approachable and passionate about yoga. The owner went out of her way to make the experience one that one would never forget. She hired the best and organized fascinating extra activities to enhance our experience. Our main teacher trainer, Adri Kyser, was incredible and was dedicated to training us how to teach proper alignment and effective sequencing all while connecting our students to a spiritual practice. I was hoping to build confidence in my yoga practice, and not only did I achieve that, I ended up having a life-changing experience that opened my mind, body, and heart. I would definitely recommend this program to somebody who is open to growth. " "This place is incredible!" "Marie Elena and her family are such beautiful people and they do everything they can to make sure you have a great experience." "Make sure you check out one of their classes or retreats." "It was great thank you :) Had a great month, insightful and learnt a lot. The food was to die for, the location and accommodation were lovely." "The organiser's and all people involved were absolutely amazing." "Would definitely recommend it to others :)"
"La experiencia del profesorado de yoga fue una de las mejores decisiones que he tomado! La entrega y el conocimiento de los maestros hicieron de las semanas de entrenamiento un aprendizaje completo!! Muy recomendado!!" "Best yoga in Cuenca. Something for all levels, and friendliest staff that you will find anywhere." Join our family, take the first step and apply today!